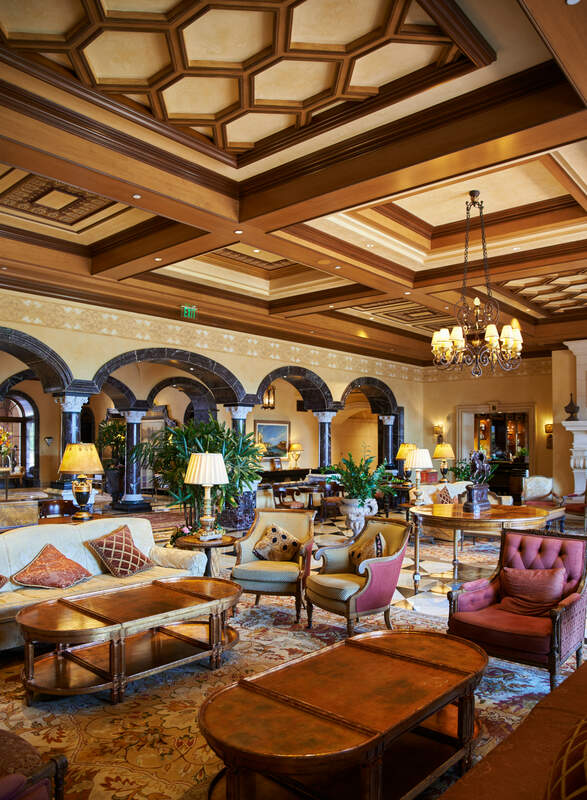 Located 30 minutes north of San Diego, Fairmont Grand Del Mar is an oasis of Mediterranean-styled luxury. Offering easy access to miles of glittering coastline, beaches and hiking trails, this tranquil resort is the ideal weekend getaway choice. With an array of entertainment, wellness treatments to nourish body and soul and six divine dining options, this welcoming destination offers something to please every taste and temperament. My weekend getaway began with tempting views of the lush golf course glimpsed between trees shading a winding drive. 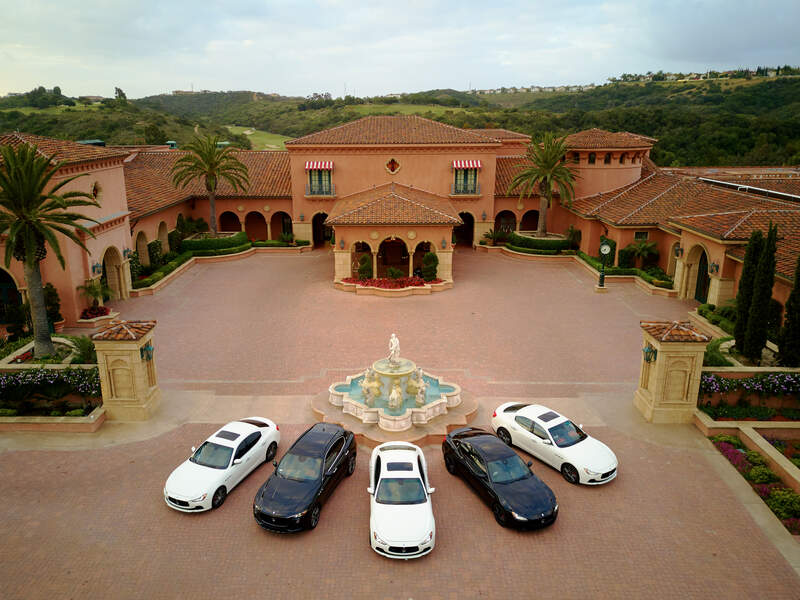 Valet service ensured a hassle-free check-in, and the friendly valets are always on hand to offer transportation via golf cart within the property. Entering the lobby, I was greeted by Fairmont Grand Del Mar’s signature scent of apple spice candles that enveloped me in the coziness of autumn. The architecture of the hotel is dazzling. Finely-detailed European craftsmanship accents elegant décor, creating the resort’s romantic atmosphere and old-world charm. Terra-cotta-colored pillars, gleaming marble, polished wood and ornate, richly textured fabrics invoke the exotic feel of Spanish and Portuguese country estates. Tall clerestory windows illuminate light-splashed nooks, and potted figs and palms enhance the ambience. Plentiful garden paths, fountains and water features, such as a Renaissance-inspired reflection pool, inspire tranquility. The resort’s 249 guest rooms and suites accommodate parties of every size. Each Deluxe Veranda room boasts a private balcony, Italianate splendor and a unique view. I felt like the romantic heroine in a Shakespearean play as I stood surveying a gorgeous sky while serenaded by birdsong and the gentle whispering of trees. Ground floor, adults-only Signature Terrace rooms ensure carefree “me time,” while larger suites are the perfect choice for couples and small families. Extended families or large groups can book rooms and suites together for a memorable experience, with enough room for everyone. There are so many enticing possibilities for entertainment and dining that it may be difficult to decide where to begin your adventure. I suggest starting with a dip in the heated, spa pool (for those 18 and older) before heading to the cozy Library for a proper afternoon tea of finger sandwiches, scones and pastries. At sunset, make time to explore the beautifully landscaped grounds and breathe in the refreshing aromas of sage, Monterey pines and Italian cypress. If you’re in a chill mood, settle beside Lobby Lounge’s hand-carved stone fireplace for live music and a signature beverage. My Manhattan, a classic cocktail that demonstrates a bartender’s skill, was perfect, as was the mellow Latin jazz. If you belong to the night, venture over to vivacious Club M and dance to beats spun by guest DJs. Following a restorative night’s sleep, jumpstart your morning with gourmet coffee, quiche or Italian gelato at Cent’ Anni Café. I confess, I’m not really a fan of macarons, but their perfectly crisp and sweet coconut confections quickly converted me. There’s plenty to do on-site. Changing seasonal activities ensure returning guests can add new experiences to their visit. Activities during my stay included an evening of whiskey tasting and live storytelling in Amaya’s private dining room, game day camaraderie as guests watched 85-inch flat screen TVs in the Clubhouse, an Oktoberfest celebration and a special Halloween scavenger hunt for little monsters. Perhaps you’d rather book a private tennis lesson, spend an afternoon of sinking hole-in-ones on the championship green or horseback riding along Los Peñasquitos Canyon Trail. No matter what you choose to do, cap it off with lunch or happy hour at The Clubhouse Grill, a casual, family-friendly dining option overlooking the 18th hole of The Grand Golf Club, San Diego’s only Tom Fazio-designed golf course. Finally, a much-needed sojourn in the pristine and wonderfully fragrant spa melted all my cares away. After soothing my muscles in the eucalyptus steam sauna, I relaxed in the foaming mineral hot tub before treating myself to Portrait facial therapy treatment. Transported into unparalleled relaxation and pampering, I reclined on a heated bed with weighted blankets providing additional comfort while aesthetician Julie Ann used a bevy of hydrating cleansers and serums that left my skin dewy soft and silky smooth for days. I floated out of the spa in a state of bliss, grateful for its island of calm. 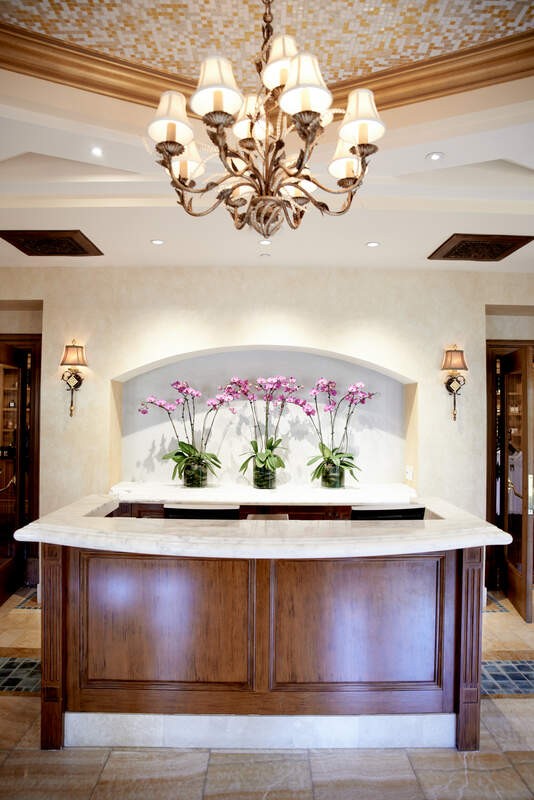 Hair, makeup and nail services are available in the elegant salon, and citrus water and healthy nibbles deliver maximum hydration and nutrition reflective of The Spa at Fairmont Grand Del Mar’s focus on total wellness. One of the most impressive aspects of my stay was the impeccable customer service. The staff is effortlessly kind, gracious and warm. 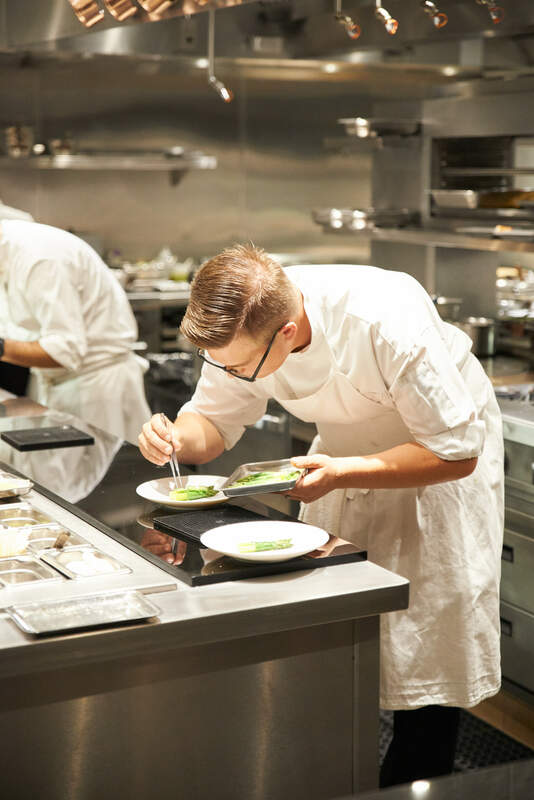 Each team member embraced the spirit of genuine hospitality, a unique achievement that leaves guests feeling special, appreciated and valued. 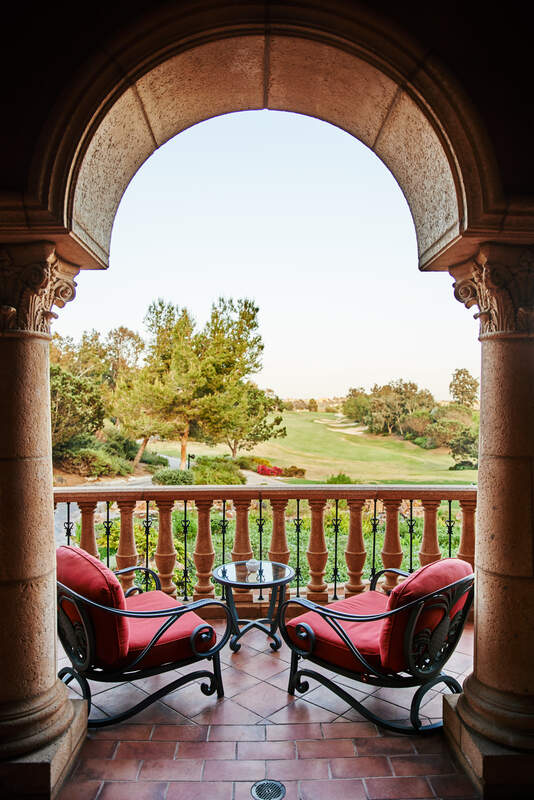 In what often feels like a cold and chaotic world, a delightful weekend escape at Fairmont Grand Del Mar will replenish your whole being like it did mine. 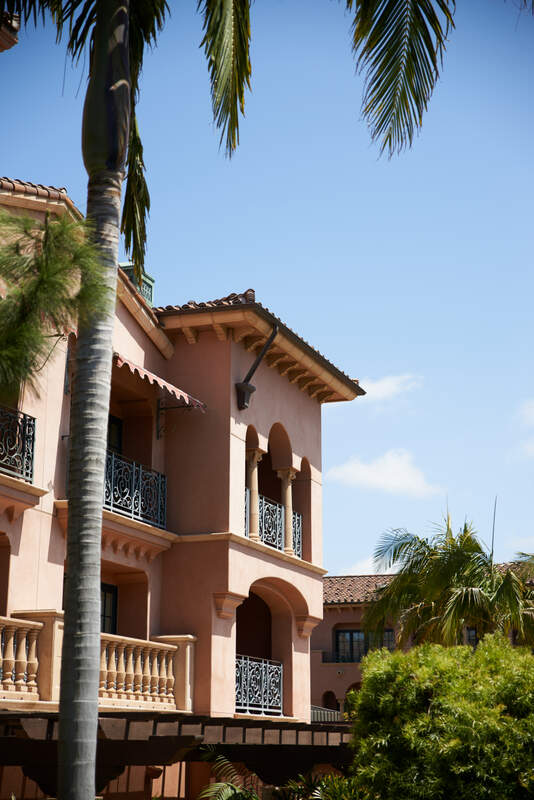 To book your Fairmont Grand Del Mar getaway, click here.